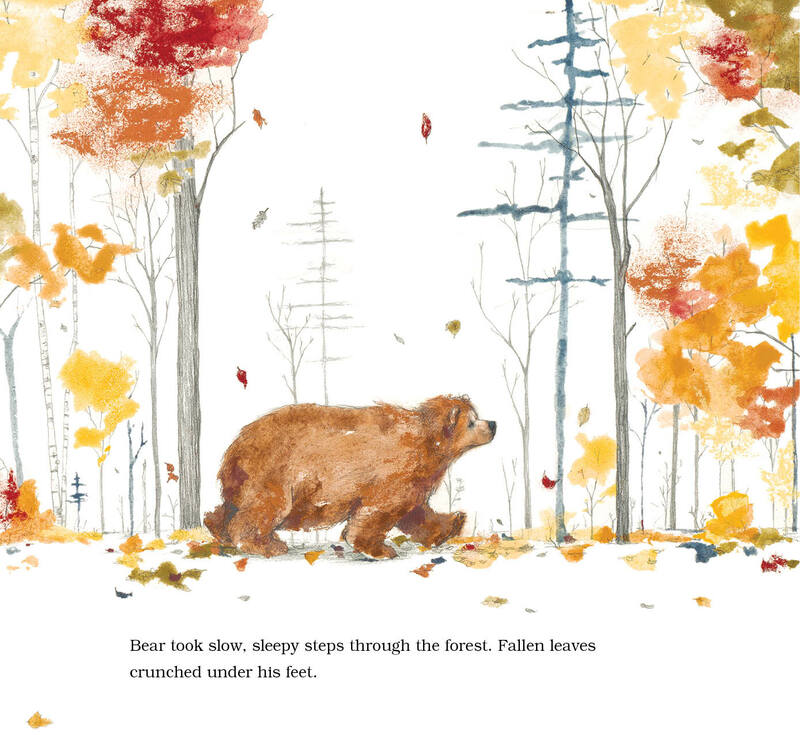 Bear Has a Story to Tell: An utterly sublime picture book. A lot of my friends are people who worked with me at Books of Wonder. 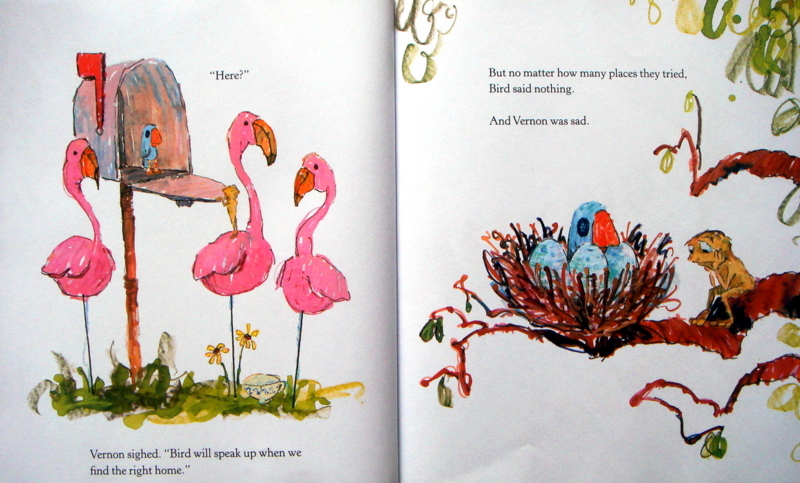 A lot of those friends went on from Books of Wonder to become published writers and illustrators. They’ve made, and continue to make, great books and they are all extremely talented. I’m not saying that because they’re my friends either. They’ll tell you the same thing. This is all to say you may often see the term “Books of Wonder alum” on this site. In this case, it’s Erin E. Stead. 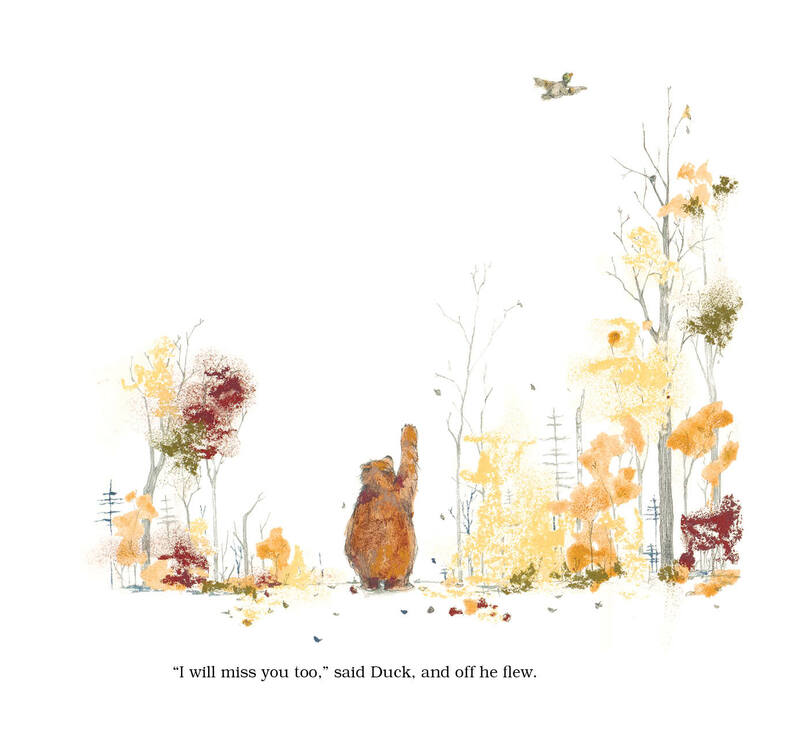 Each year, the Association for Library Service to Children, a division of the American Library Association, honors the illustrator of the most distinguished American picture book for children with the Caldecott Medal. You can recognize it by the gold sticker, as on the cover of this book. 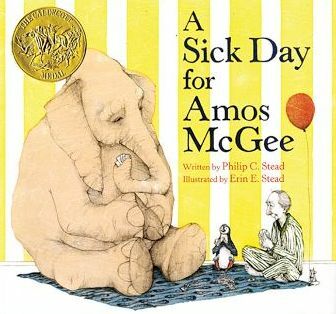 Sick Day for Amos McGee, Erin E. Stead and Philip C. Stead’s first book, is extraordinary, and was awarded the Caldecott Medal. That was Erin’s first book. Philip is an illustrator, as well as a writer, and has published three other books of his own (Creamed Tuna Fish and Peas on Toast, Jonathan and the Big Blue Boat and A Home for Bird). 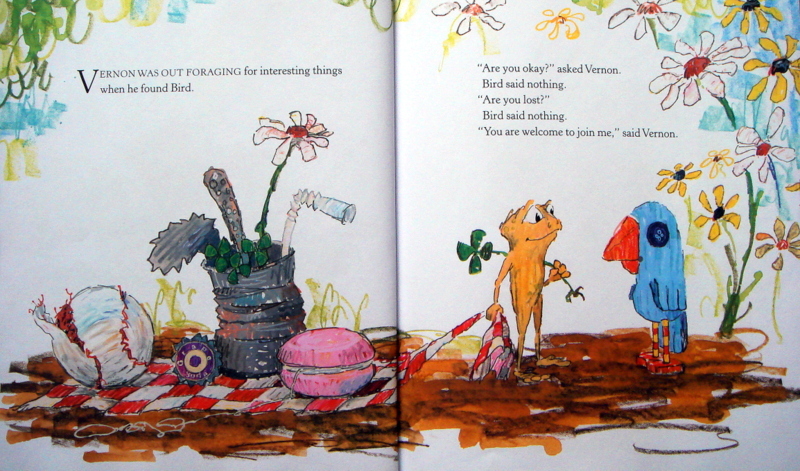 Erin’s second book, And Then It’s Spring— written by Julie Fogliano, another Books of Wonder alum—is stunning. 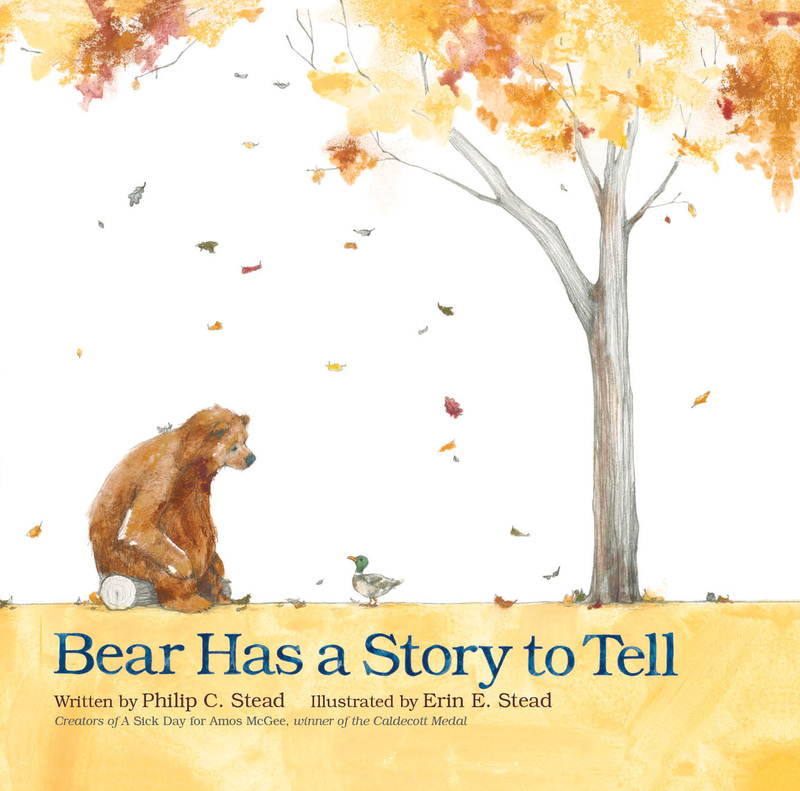 Bear Has a Story to Tell is Erin’s third book, and the second for the husband and wife team. 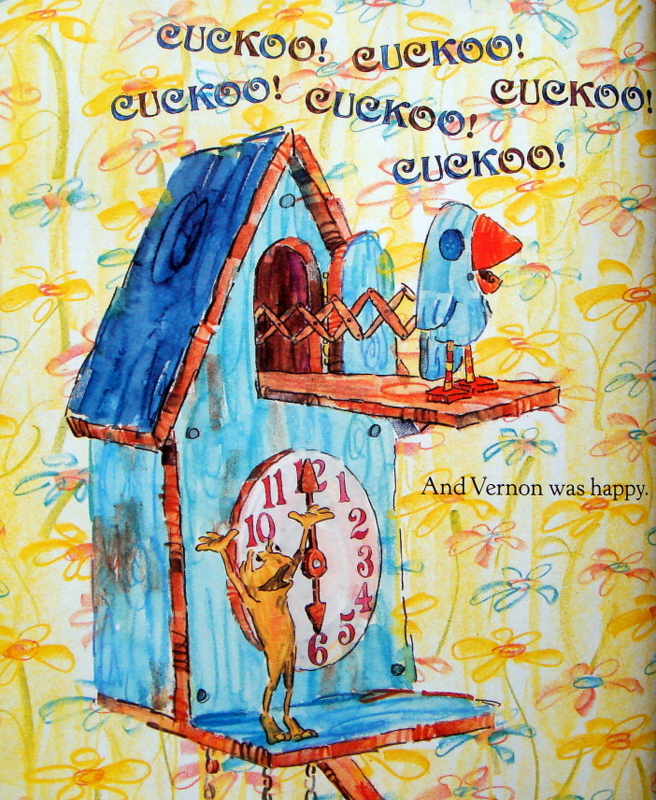 I am not overstating when I say this: these three contributions to the world of children’s books have already changed the industry. 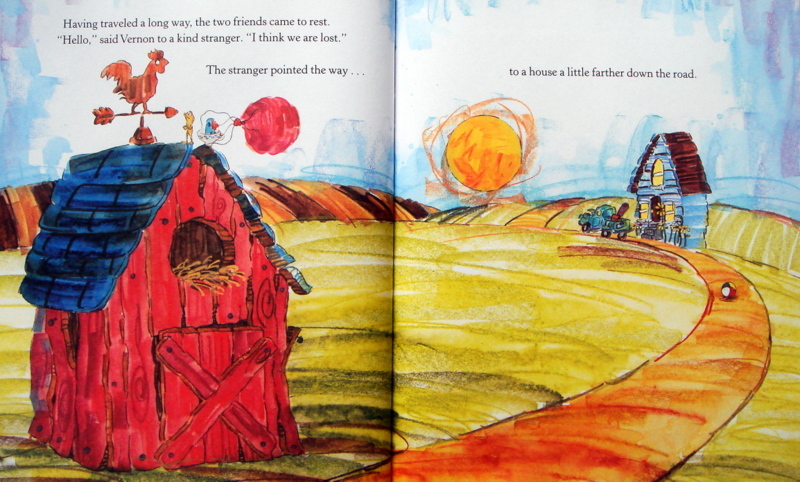 They are much appreciated additions with their sweet, simple stories and their exceptional art. Erin’s art is delicate yet strong, tight yet free, subtle yet imposing, and overwhelmingly beautiful. Not every illustrator can draw and paint. Often, an artist’s strengths lie in one area or the other. Erin is a skilled draftsman and an amazing painter and she knows just when to let the right art form shine through. Her art appeals to all the senses; you can feel the wind, hear the leaves rustling, smell the winter air, feel the heavy sleep and taste the anticipation. Her art is breathtaking and frequently astounding. Phil’s text is perfectly paced, allowing you to drink in the art. There’s nothing unnecessary or extraneous about the story. And nothing is missing. Volumes are being said with just a few sentences per page. It is precisely this kind of text that leads people to proclaim, “I could write a children’s book. It’s easy!” I assure you, it is not easy. Bear has a story to tell. He’s getting sleepy but he’d like to share his story with his friends. Though his friends clearly love him, they do not have time for a story right now. Winter is coming and they must prepare. Mouse needs to gather seeds. Duck has to fly south. 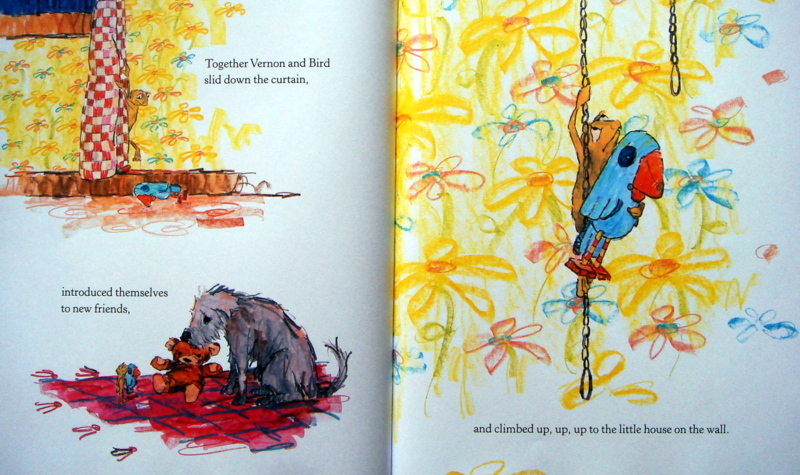 Bear graciously understands when his friends decline, and even assists them with their tasks. It’s also time for Bear to prepare for winter, just as the first snowflakes fall. 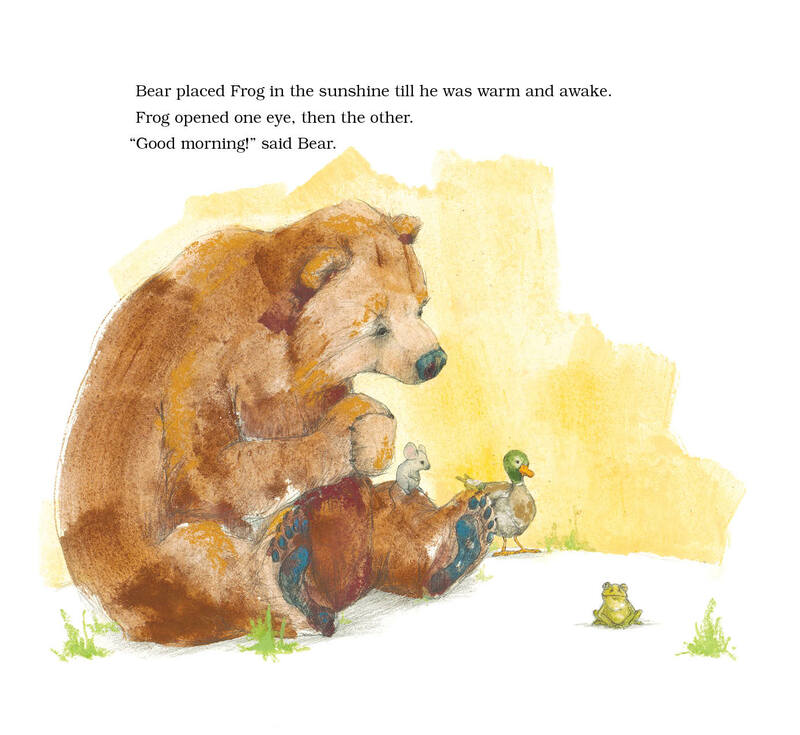 Bear wakes in the spring, eager to tell his story. He waits patiently for each of his friends to rouse, or return, so he may gather them together. All his friends are listening. Bear has a captive audience, and he can’t remember his story. 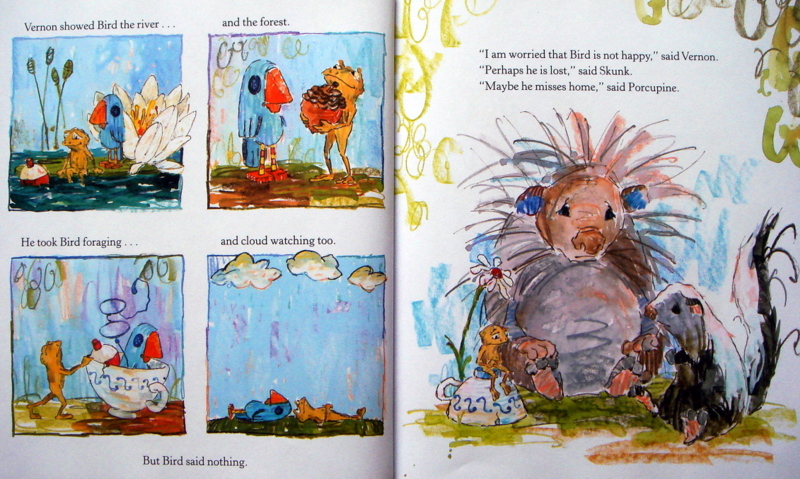 Bear’s friends offer ideas and suggestions; maybe it was about a bear, getting ready for winter. And maybe his friends were there too. 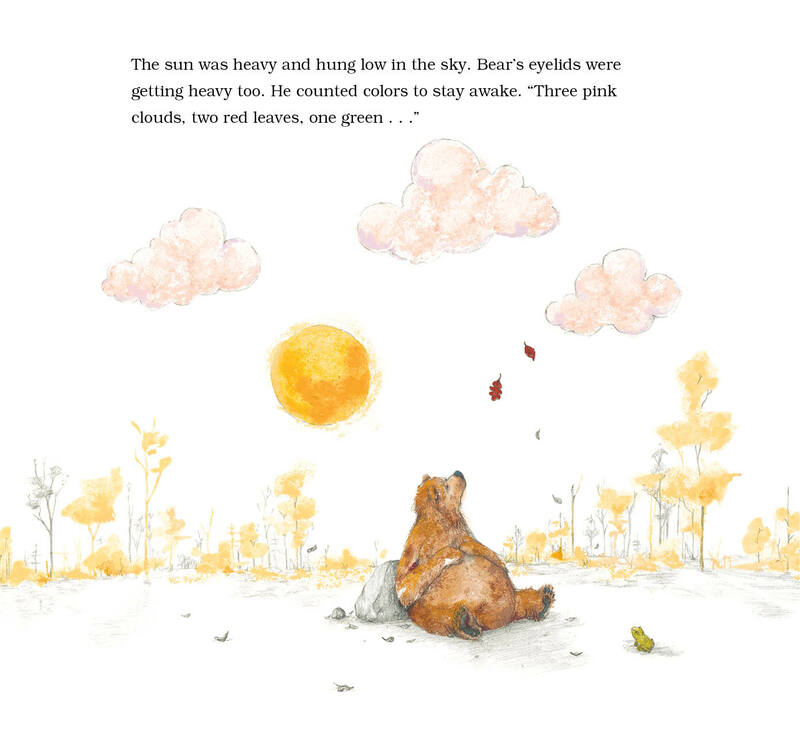 Bear Has a Story to Tell is an utterly sublime picture book.